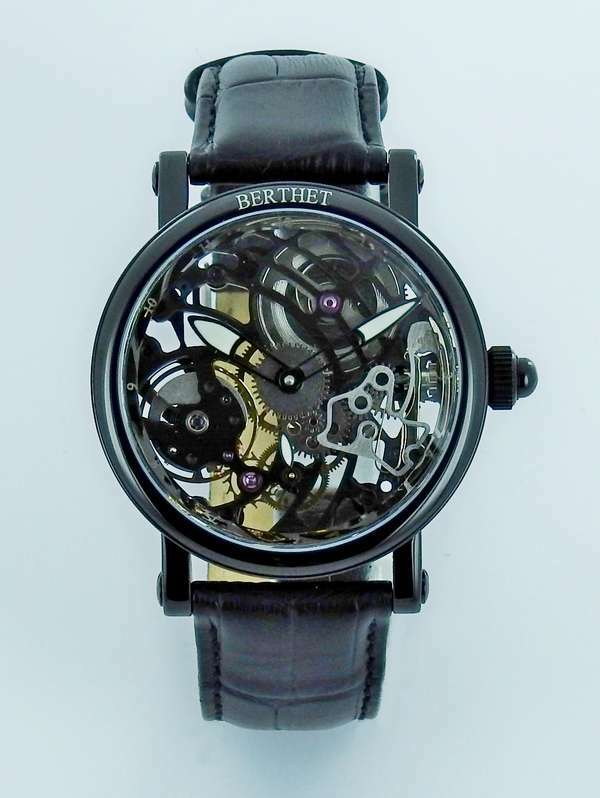 Arte Noir by Berthet is a skeleton watch, 42.5 mm in diameter and 11.9 mm thick, with a hand-wound 6498 movement that is skeletonized in-house, to a design by house engineers Gérard and William Berthet. The watchmakers use a range of techniques to remove parts of the bridges, including CNC micro-machining, laser cutting and micro-cutting with a water jet. The result is a fascinating and harmonious composition, in which the mechanical components are highlighted by the sequence of curves in the bridges. The movement parts are finished in anthracite ruthenium, or alternatively in 2N yellow gold or 4N pink gold, or in bright steel. Touches of colour are added by the rubies and the blued screws. The case is available in several versions, black PVD, black DLC, bright steel, or with a pink gold 2N plating. The domed watchglass is in sapphire, the caseback is in mineral glass. The crown is finished with a blue sapphire or red ruby cabochon. Water resistance is 5 atm, 50 metres, resistant to splashes and rain only. The 22mm alligator-print leather strap has a folding buckle that can be personalized with an engraved text. 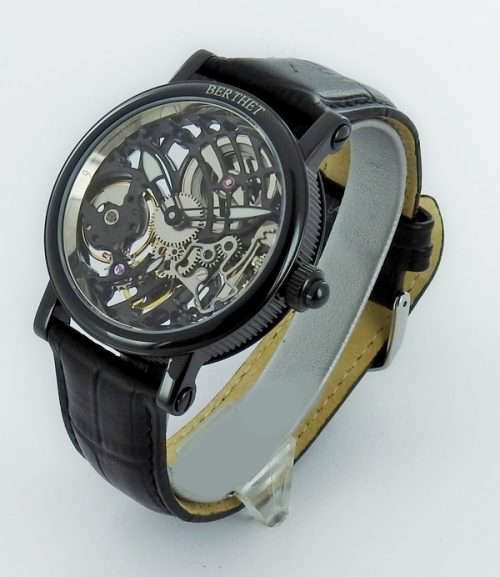 Berthet have given this watch skeletonized hour and minute hands, large enough to make them easily legible, with what looks like SuperLuminova in the terminal sections. 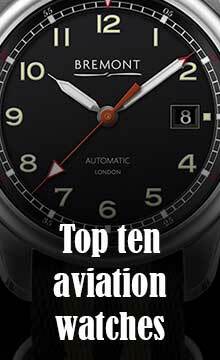 The small seconds hand at 6 o’clock is treated in the same way. 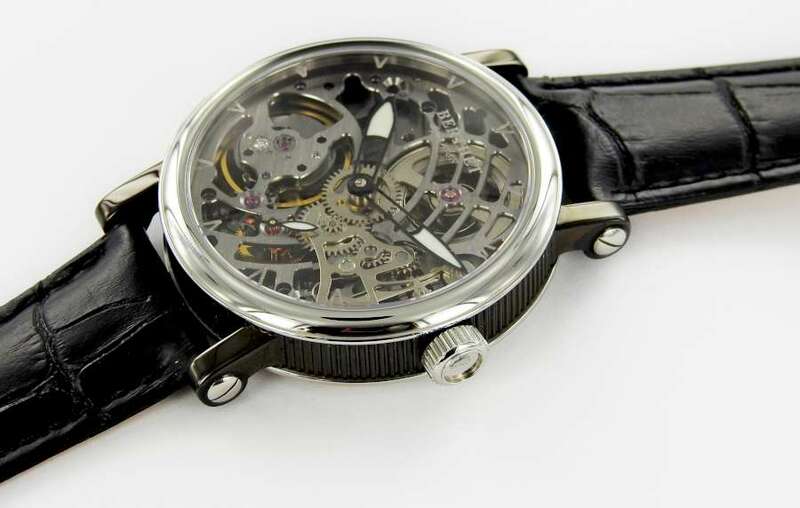 The result is a timepiece that has all the mechanical fascination characteristic of skeleton watches, but that nonethteless remains a practical watch suitable for everyday use. 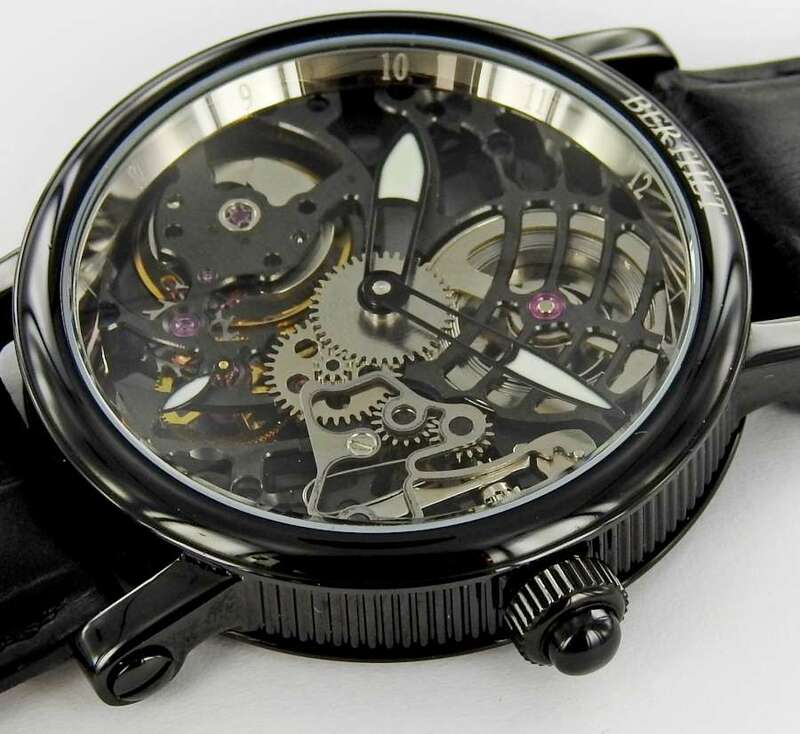 The movement runs at 3 Hertz, 21,600 vibrations per hour, with 18 jewels. 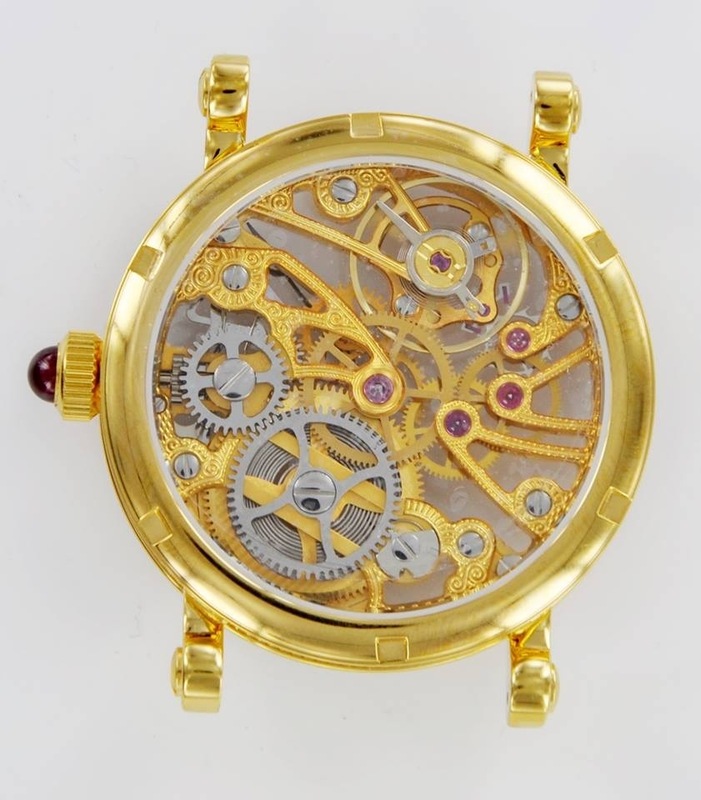 In the photo below, a 2N yellow gold-coated version as seen through the display caseback.